Deutsche Lufthansa AG has signed a contract to order five additional Embraer 195s, which will be operated by Verona-based Air Dolomiti, Lufthansa’s regional partner in Italy. Embraer values the order at $226 million at list price. Deliveries of the five Embraer 195s to Air Dolomiti are scheduled to begin in the second half of 2012. Air Dolomiti currently operates five Embraer 195s, so the additional aircraft will double the size of its Embraer E-Jets fleet. In response to growing demand within Europe, Air Dolomiti will use the new aircraft to add flights on domestic routes and increase frequencies between Verona and Lufthansa’s Munich hub. The new Embraer 195s will be fitted with Embraer’s new Slim Seat Plus, an ergonomically designed seat which is comfortable, yet weighs less to help reduce fuel consumption. “I am delighted that this additional order will enable us to secure the development of our medium-haul fleet. It is the next logical step in our strategy of ongoing fleet modernisation with regards to fuel efficiency, operating costs, noise and emissions,” remarks Nico Buchholz, executive vice president Lufthansa Group fleet management. With the new order, Lufthansa Group will have the largest fleet of E-Jets in Europe. The company has ordered 43 Embraer 190s and Embraer 195s since May 2007. Today, 28 E-Jets are in service with three of Lufthansa’s five regional partner carriers: Lufthansa CityLine, Air Dolomiti and Augsburg Airways. Air Dolomiti was founded in 1989 by Italian businessman Alcide Leali. It was acquired by Lufthansa in March 2003, but retained its name and brand identity within the Lufthansa Regional portfolio. Upon its formation, Air Dolomiti’s mission was to become the first regional carrier in Italy to operate on a European level, offering direct flights from other European countries to to the most strategic medium-sized business cities in Italy. The airlines caters primarily to business travellers and is focused on delivering customized, top-level quality service. 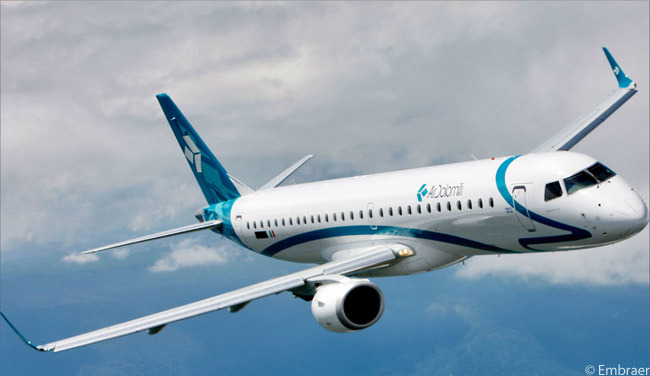 Further information is available on www.airdolomiti.it.